Ariel and Eric. . HD Wallpaper and background images in the Ariel and Eric club tagged: ariel the little mermaid prince eric disney. 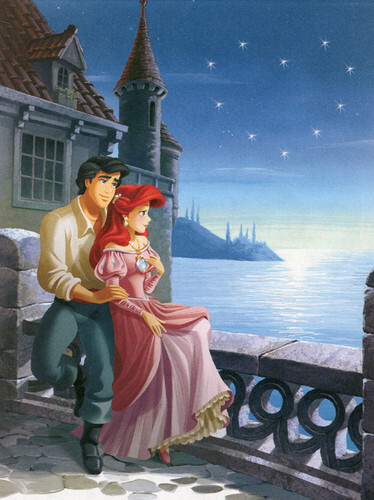 This Ariel and Eric photo might contain सड़क, शहर के दृश्य, शहरी सेटिंग, शहर दृश्य, शहरी की स्थापना, वर, सम्मान की नौकरानी, दासी की दासी, सम्मान की नौकरानी के, पंक्ति घर, शहर घर, and टाउन हाउस.